Alternative, indie-rock band, Campfires In Winter, released their latest EP, Picture of Health via Bloc+Music on 30th September 2013. Picture of Health followed successful debut single, White Lights, and confirmed Campfires In Winter as a band with serious designs on becoming major players in the UK music industry. Consisting of Robert Canavan (lead vocals, lead guitar), Wullie Crainey (bass guitar, vocals), Scott McArthur (keyboard, vocals, guitar) and Ewan Denny (drums), Campfires In Winter have become known for their ability to create a sound that is both experimental and accessible – intricate passages of post-rock guitar, akin to US indie stalwarts American Football, are elevated by wonderful vocal harmonies, a tightly driven rhythm section and all sewn together by alluring dream-like piano pieces. The EP was self-recorded over the course of a few days in Balneden Steading, a cottage in the tiny village of Tomintoul, the highest village in the Scottish Highlands, and mastered by Denis Blackham at Skye Mastering(Otis Redding, Elvis Costello, Jimi Hendrix, Brian Eno, David Byrne). 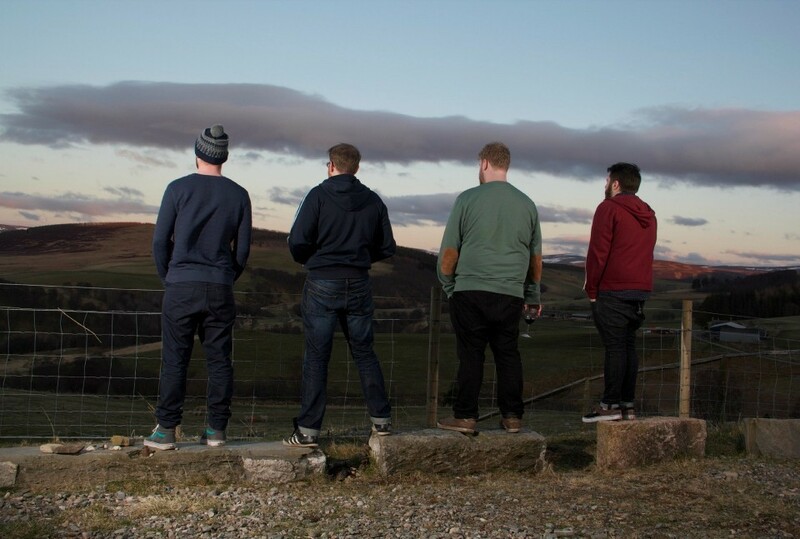 Campfires In Winter aim to build upon the significant progress they have made as a band thus far having released their debut EP, Cardboard Ships, back in 2010. Throughout the last few years Campfires In Winter have gained support from BBC 6 Music, Vic Galloway, Jim Gellatly, The Scotsman, The Metro and The Sun as well as appearing at Wickerman Festival, goNorth Festival and Oran Mor as part of the West End Festivalalongside the likes of The Twilight Sad and Meursault. They’ve also had the privilege of sharing a stage withRM Hubbert, The Twilight Sad and Kid Canaveral and have just played King Tut’s Summer Nights alongsideFake Major. The release of Picture of Health maintained the presence the band have built up in what turned out to be a busy 2013, with a sold-out show at the Liquid Rooms in Edinburgh with Kid Canaveral, Ballboy and the Cairn String Quartet proving a success, and their Scottish tour supporting the release of Picture of Health.